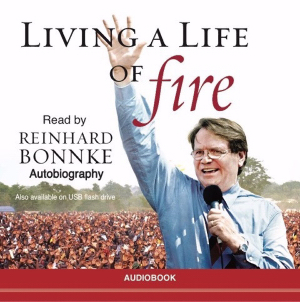 Evangelist Reinhard Bonnke is principally known for his Great Gospel Crusades throughout the continent of Africa. The son of a pastor, Reinhard gave his life to the Lord at age nine, and heard the call to the African mission field before he was even a teenager. After attending Bible college in Wales, he became a pastor in Germany for seven years and then went on to start mission work in Africa. It was there, in the small mountain kingdom of Lesotho, that God placed upon his heart the vision of ‘the continent of Africa, washed in the precious Blood of Jesus’ – an entire continent, from Cape Town to Cairo and from Dakar to Djibouti that needed to be reached and to hear the proclamation of the signs-following Gospel. Reinhard Bonnke began holding meetings in a tent that accommodated just 800 people, but, as attendance steadily increased, larger and larger tents had to be purchased, until finally, in 1984, he commissioned the construction of the world’s largest mobile structure – a tent capable of seating 34,000 people! Soon, attendance at his meetings even exceeded the capacity of this huge structure, and he began open-air Gospel Campaigns with an initial gathering of over 150,000 people! Since then, he has conducted city-wide meetings across the continent with as many as 1,600,000 people attending a single gathering using towering sound systems that can be heard for miles.It has now been some thirty-five years since Reinhard Bonnke founded the international ministry of Christ for all Nations (CfaN), which currently has offices in the United States, Canada, Germany, United Kingdom, Africa, Singapore, Australia, and Hong Kong.Since the start of the new millennium, through a host of major events in Africa and other parts of the world, the ministry has recorded some 52 million decisions for Jesus Christ.